Ah. ..., Alfred Hitchcock, the very best. I've been a fan for more years than I care to name. :). Loved ALL his movies, especially North by Northwest and Rear Window. Course, Cary Grant & Jimmy Stewart helped make those Hitchcock movies even better. LOL. 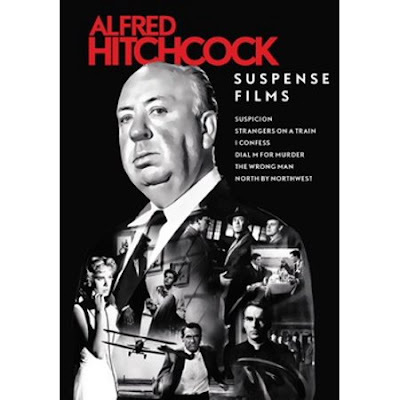 Glad to hear you have added such a great movie collection to your video library and have two new fans for Hitchcock. Cynthia, it's been since the 1970's I think since I've seen one of these movies. I sure remember people in my family loving them. An Alfred Hitchcock collection would make an excellent gift for fans. I actually can't remember which ones I've seen, I think it's Rear Window and North by Northwest as Pat mentioned above. Lol, time for a movie night. This review does make me want to reconsider the Hitchcock classics... I've only seen a part of The Birds and was so scared, that was that for Hitchcock!